Original decision to provide a bailout is the source of the current crisis. Time for Europe to share the blame and financial consequences. Trust me George, this is going to work out great. With everyone talking about Greece being on the verge of exiting the euro after Monday’s summit meeting, it seems to be forgotten that the current crisis is not really about Greece’s currency arrangements at all. The Greek people are not demanding a return to the drachma and few within the country are arguing for the competitive benefits a currency devaluation would entail. And there are no formal rules that Greece is breaking that must lead to an exit from the euro because, legally, the euro is a fixed and irrevocable currency union. This crisis is about more basic things: Debt and power. Indeed, the current stand-off looks a lot more like the classic gunboat diplomacy conflicts of the 19th century than it does the currency crises of the 20th century. Europe’s governments and the IMF made an enormous mistake in bailing out Greece’s private creditors in 2010 and then overseeing a botched debt restructuring in 2012. In turn, the Greek governments of this era made the mistake of accepting official loans to pay off private creditors, perhaps not realising they were jumping out of the frying pan straight into the fire. Now the Greeks are learning that defaulting on private creditors is one thing (not so hard it turns out, once you’ve got Lee Buchheit in your corner) but defaulting on governments of rich European countries is quite something else. Blaming the euro for the current impasse is actually pretty strange because the euro’s founding fathers explicitly warned member states to not to get themselves into this situation. The story of the demise of Europe’s “no bailout clause” is an interesting one. Rather than an inevitable crisis, one can credibly argue that the decisions that landed us in the current situation did not need to be taken and were taken as a result of unnecessary cowardice, confusion and hubris. A couple of years ago, when I was writing this article, I reviewed many papers on prospects for the euro written by economists in the 1990s. I was struck by the consensus that the fiscal limitations of the Stability and Growth Pact would generally be honoured, that euro members that got into fiscal troubles would not be bailed out by other countries and this would lead to sovereign defaults when countries did get into fiscal problems. By and large, the policy heavyweights of the day, such as Rudi Dornbusch, believed there was a “categorical no-bailout injunction.” As such, it was expected that markets would understand that European governments were more likely to default once their devaluation option was taken away and that financial markets would price the sovereign debt of countries differently depending on the health of their public finances. Economists In Getting It Wrong Shocker! Well, the economists got it all wrong. Financial markets hadn’t seen a default in Europe since the Second World War but had grown tired of repeated currency realignments. The apparent end of devaluation risk was celebrated and in the benign macroeconomic conditions of the early years of the euro sovereign default was more or less forgotten about. Yields on sovereign debt across all euro area members — which had previously differed substantially — converged within a narrow band and remained this way until 2009. Economists also got it wrong about the “categorical no bailout injunction.” It turned out that no such clause really existed in the European Treaty. The relevant article (No. 125 of the current treaty) merely stated that the Union and its member states “shall not be liable for or assume the commitments” of other countries. This isn’t really how bailouts work: Those doing the bailout rarely announce “we’re taking over this country’s debts.” Instead, they provide loans to the government that is in trouble and these loans allow this country to honouring its existing loan commitments. In any case, Article 122 also explicitly allows the EU to grant financial assistance in periods of “severe difficulties caused by natural disasters or exceptional occurrences beyond its control” and the judgement of what was meant by that clause was clearly going to be up to the EU’s leaders themselves. The markets are deluding themselves when they think at a certain point the other member states will put their hands on their wallets to save Greece. The euro-region treaties don’t foresee any help for insolvent countries, but in reality the other states would have to rescue those running into difficulty. By early 2010, it became increasingly clear that Steinbrueck’s viewpoint would prevail and that a Greek sovereign default at this point was not something the euro area’s leaders would countenance. 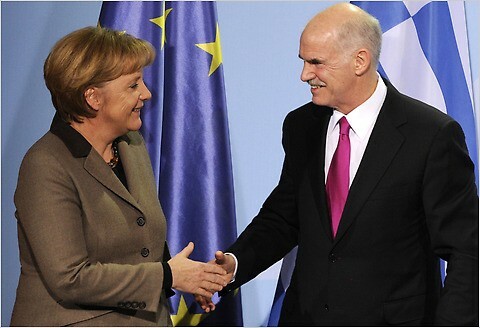 By March 25, 2010 loans to Greece from the rest of the euro area and the IMF were announced and by May a fully-formed bailout fund for the euro area, the European Financial Stability Facility (EFSF), had been put in place. Despite Greece’s completely unsustainable debt position, private creditors continued to be repaid over two years with these debts replaced by loans from European countries and the IMF. By the time Greece’s debt to the private sector was restructured in 2012, its economy was in ruins and the remaining unrestructured debts to the “official sector” were clearly unsustainable. 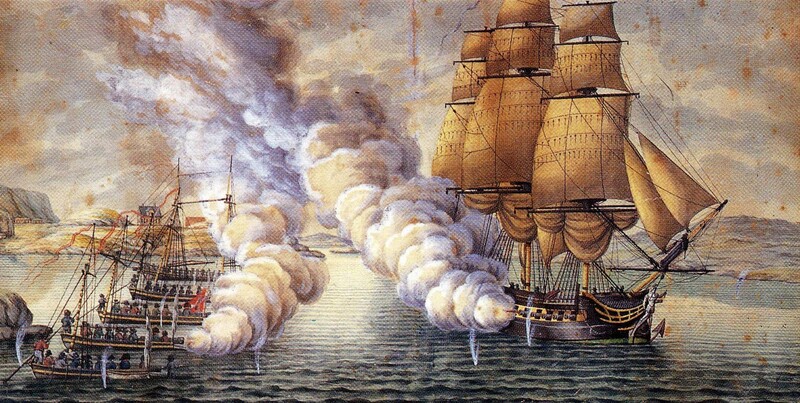 The return of gunboat diplomacy had been set in motion. 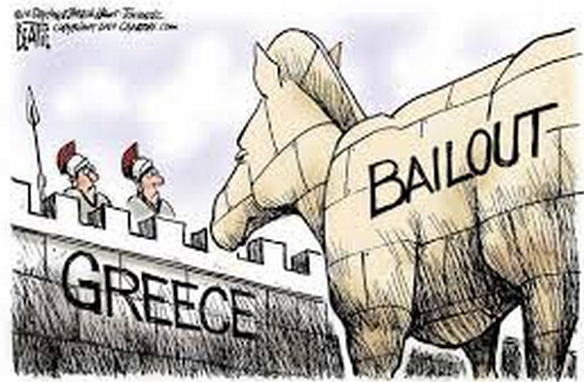 Why Bail Out Greece in 2010? European Banks? So why were Europe’s politicians so keen to provide massive loans to Greece in 2010? One answer that comes up time and again is that European governments were using the loans to Greece as a way to protect German and French banks that had built up large exposures to Greek sovereign debt. In the febrile anti-banker environment of 2010, a programme advertised as “European solidarity” was more likely to work politically than another round of bank bailouts after a Greek default. This story has been stressed by many over the past numbers years. For example, former Bundesbank chief Karl-Otto Pohl made the point early and often. Still, the figures in this area don’t really add up. The total exposure of European banks to Greek sovereigns was always fairly modest. These banks may have engaged in lobbying but, on its own, I’m not sure how important this element was. If indeed, European leaders thought it was a good idea to use public money to bail out all Greece’s private creditors just because they were scared to admit to their public that some more banks might need bailing out, then this could only be classified as an act of political cowardice. No default, no credit event. If the direct impact of a Greek default wasn’t going to be so great, there were lots of people in 2010 ready to scaremonger the potential indirect effects of such a default. The Europe of early 2010 was a place where the mere mention of the word “default” triggered visions of Hank Paulson’s decision to let Lehman brothers go into bankruptcy. The idea that a Greek default would be “another Lehmans” was commonly cited. The ECB, in particular, played a crucial rule in presenting a Greek default as a potential disaster for the euro area and delaying the decision to allow such a default. Via their highly discretionary ability to cut off funds to the Greek banking system, the ECB have had a huge influence on the course of events. 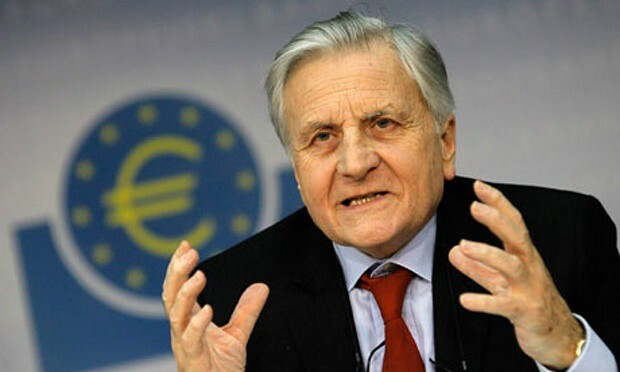 Over 2010 to 2012, members of the ECB Executive Board, such as Lorenzo Bini Smaghi regularly gave speeches depicting the depicting a potential Greek default as provoking “an economic meltdown”. For example, Bini Smaghi argued that a default should be avoided because it would “punish patient investors” who believed in the adjustment program could restore sustainability, that a default would discourage investors from providing money to any euro-area member state and that “the payment of debts should be enforced, through sanctions if need be.” Or gunboats perhaps. no credit event, no selective default, no default. That is the message of the Governing Council. In the event, Greece did default and it was declared a credit event. And the world simply didn’t care. There was no financial meltdown. The ECB’s analysis was completely wrong and its influence on the events in Greece was utterly negative from 2010 to 2012. Time well tell whether 2015's ECB does any better. My favourite theory, however, as to why European governments bailed out Greece is political hubris. European politicians were so sure the euro was a fantastic political success that a nasty event like a default was simply unthinkable for a euro area member state. If one euro area member state could default, the thinking went, surely this meant it could happen to others. So it needed to be stopped. No, Greece will not default. Please. In the euro area, the default does not exist. The strategy for responding to the Greek crisis of 2010 was largely formulated by the Eurogroup of finance ministers. 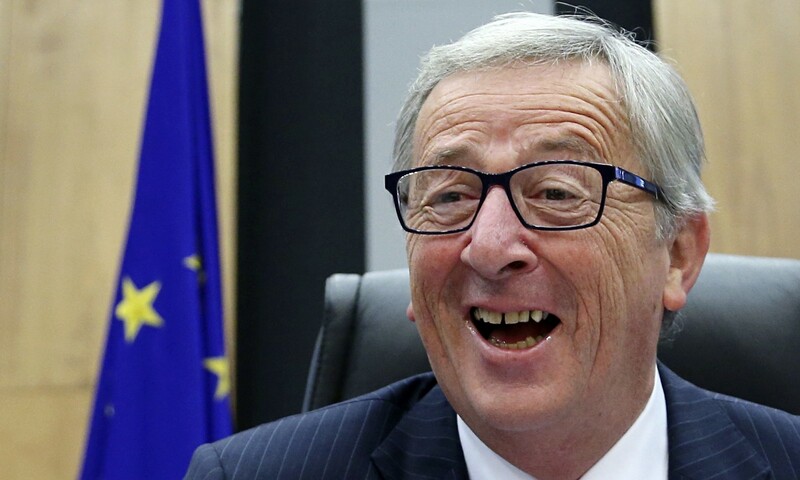 Sadly, under the inept leadership of Jean-Claude Juncker (rewarded for his many failures with the European Commission presidency) this response was framed by populism and wishful thinking. 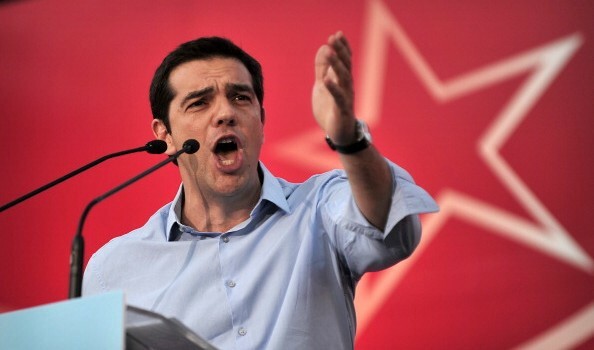 Time and again, Europe’s politicians blamed the Greek crisis on nasty financial “speculators”. We have to strengthen the primacy of politics. We have to be able to stop financial markets. We have instruments of torture in the basement. We will display them if it becomes necessary. At a distance of five years, this is obviously complete rubbish but this was what the official voice of European economic policy was saying at the time. The IMF: The Grown-Ups in the Room? You could argue, of course, that assessing debt sustainability or the implications of default are complicated things and European governments, the European Commission and the ECB had little experience in these matters. Indeed, this is true and this is why the IMF played such a crucial role. 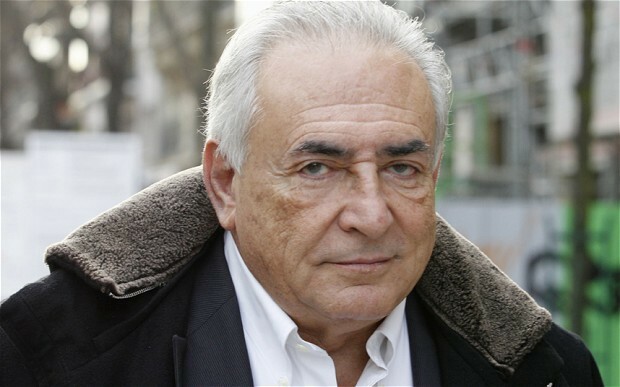 While the vast majority of the money loaned to Greece came from European governments, the involvement of the IMF — initially under the leadership of former French politician Dominique Strauss-Kahn and later under the leadership of former French politician Christine Lagarde — gave an air of credibility to the Greek programmes. This air of credibility was not warranted. From the very start, the IMF’s own analyses of debt sustainability suggested they were violating their own approach of not lending to insolvent governments. In recent days, Lagarde has commented about the need to have “the adults in the room” for negotiations (an unveiled dig at Varoufakis). However, she seems to have forgotten that the IMF were supposed to be the adults in the room for discussions on Greece from 2010 onwards. But rather than adopt an approach consistent with their usual policies, the European-led IMF decided that European countries deserved the opportunity to be saddled with particularly high burdens of debt to the official sector. Europe, it turns out, has gained very little from European influence at the top of the IMF. The rest of the world should learn from the Greek fiasco that former European politicians can no longer be trusted with the leadership of this crucial institution. I know many people will react to this piece by arguing that reckless, feckless Greeks are the real villains, cooking books and refusing to reform. Many will focus their anger on Syriza and point out that their election promises were undeliverable and ignored that the official creditors were never likely to be in the mood to offer significant debt write-downs or to get over their long-standing urge to micro-manage the Greek economy. But these arguments focus on the smaller specific tactical issues of how the Greek debt problem evolved and how the current negotiations are going. They ignore the fact that we have only arrived at this juncture because of the utterly flawed lending decisions of Europe’s governments. While it is too much to expect these governments to put in place a sensible programme of the type proposed by former IMF official, Ashoka Mody, European citizens should expect their politicians to acknowledge there past mistakes and to accept that flawed lending decisions imply financial costs. As for the euro, I fear that Europe’s leaders have fallen back into smugness and complacency. 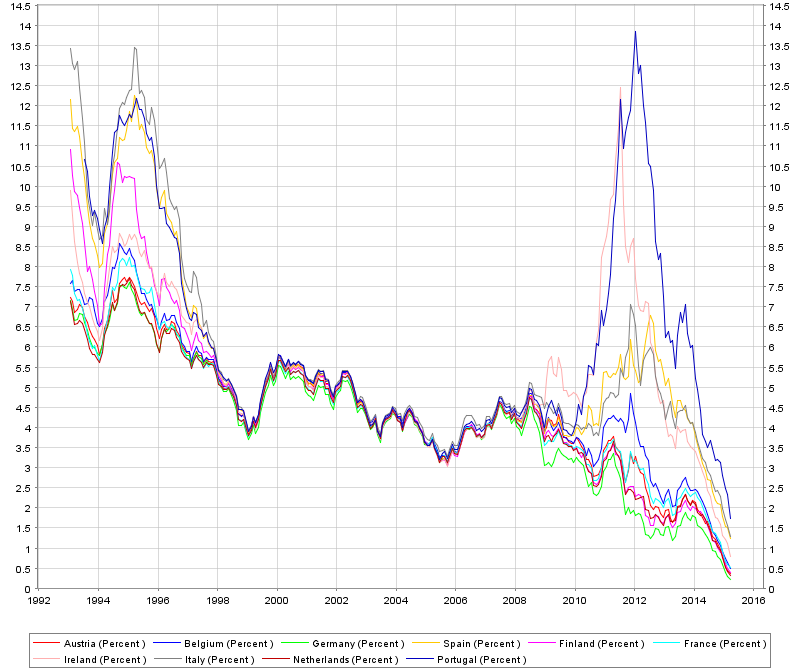 The constant chant that the euro will be fine after Greece leaves the euro is based on nothing other than speculation. Nobody knows how a euro exit would work or how it would affect other member states. But it will mean, for sure, that the euro is not a “fixed and irrevocable” currency union. And it will mean that there are unwritten rules that link membership of the euro with willingness to pay back official loans. Those who actually believe in European monetary union need to understand on Monday that pushing the Greek government further than their current position will generate infinitesimally small financial gains for European citizens while risking a Greek exit threatens unquantifiably large potential costs.